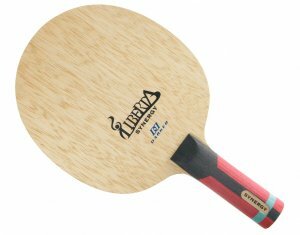 Home Table Tennis Blades Darker Liberta SYNERGY - unique UHMW / Carbon weave! New from Darker for 2017! High performance blade with inner fibers knitted with UHMW (Ultra-high-molecular-weight polyethylene) and carbon weave layers, resulting in a soft feel and more intense rotation (spin). Experience the unique feeling!